Trabuco Hills Girls Lacrosse Varsity makes their 7th trip to the Rose Bowl Jamboree in Pasadena on March 2. 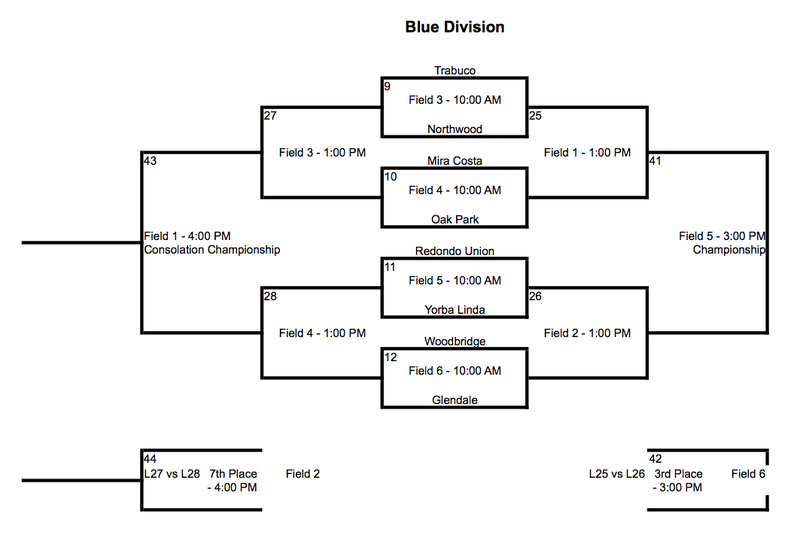 The Mustangs will play in the Blue Division and open the tournament facing old league foe Northwood at 10 a.m. The results of that game will determine the second opponent, either Oak Park or Mira Costa, at 1 p.m.
A final playoff game is set for 3 p.m. or 4 p.m. That opponent will come from the other side of the bracket: Redondo Union, Yorba Linda, Woodbridge or Glendale.